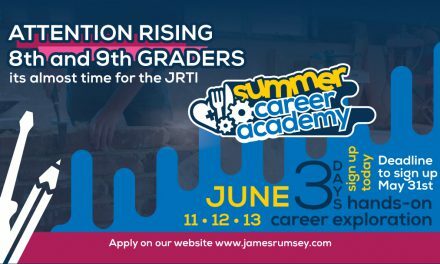 Registration: Print and complete the forms (student information, safety and dress code), return to JRTI office with payment of $90 cash or card. Today’s students are preparing to take future careers that are beyond our current imagination. In this camp, students will be immersed in science, technology, engineering and math experiences tailored to their age ranged. Students will spend time understanding shop safety, 3-D modeling, 3-D printing, engineering journaling, robot design and build, virtual programming, and robotic programming. Students will also participate in engineering design and critical thinking activities, complete science experiments and learn job based uses of math skills. Each day students will be led by an instructor, along with current and former students. They will receive JRTI email accounts and gain access to all Google educational apps. Additionally, students should come with k12 accounts that should have been given to all students through their home schools**. A syllabus for each session will be emailed to all participants one week prior to the scheduled start time. 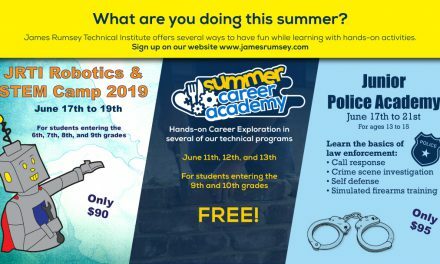 In the event we have more than 20 students interested in the program, only the first 20 to register and pay at the JRTI office will be accepted. REMEMBER A minimum of 12 students will be needed to make the STEM happen so sign up today! A minimum of 12 students will be needed to make the STEM happen so sign up today! **k12 accounts should be obtained through your school’s Technical Integrated Specialist before summer break, If your student is home schooled please contact your local school for this information. Please download the form below. 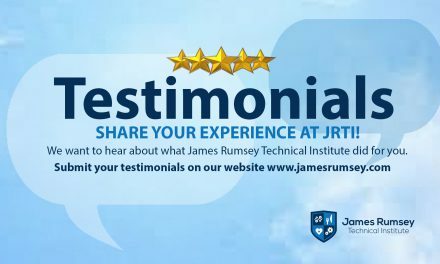 Return completed form no later than May 31st to James Rumsey Technical Institute with payment (cash or card, no checks please) in person at 3274 Hedgesville Rd, Martinsburg. We are on Rte 9 West next to Hedgesville High School. 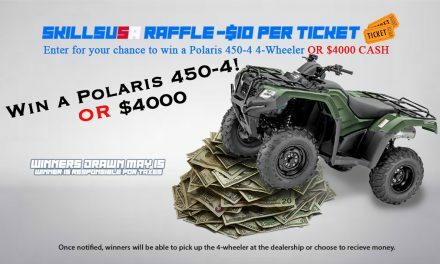 Win a Polaris 4-Wheeler or $4000 and Help our Students Compete in SkillsUSA!